Week 11 of my 52 book reading challenge (1 book per week for a year) is A book with an orange cover. The book I'm reading this week is a classic science fiction fantasy novel first published in 1954. I've wanted to read this book for a long time and I finally purchased it last year. Guy Montag is a fireman. His job is to burn books, which are forbidden, being the source of all discord and unhappiness. Even so, Montag is unhappy; there is discord in his marriage. Are books hidden in his house? The Mechanical Hound of the Fire Department, armed with a lethal hypodermic, escorted by helicopters, is ready to track down these dissidents who defy society to preserve and read books. The classic novel of a post-literate future, Fahrenheit 451 stands alongside Orwell's 1984 and Huxley's Brave New World as a prophetic account of Western civilization's enslavement by the media, drugs and conformity. Bradbury's powerful and poetic prose combines with uncanny insight into the potential of technology to create a classic of twentieth-century literature which over fifty years from first publication, still has the power to dazzle and shock. 11. A book with an orange cover. 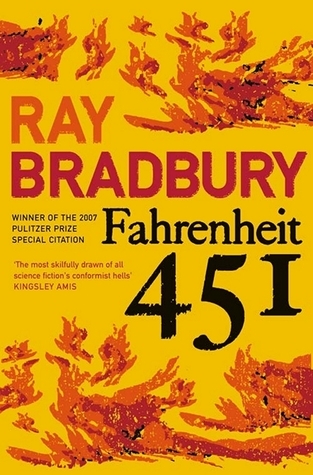 I'M READING Fahrenheit 451 by Ray Bradbury. 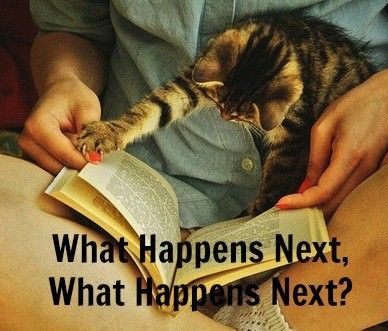 What are you reading for week 11?